David Fraser has an image of Delphine readily available at his home. Delphine was recently restored and was previously USS Dauntless, which Fraser served aboard as a gunnery officer. Founder of Fraser Yachts, now 94, reminisces on a life before he became a titan of the yachting industry. NEWPORT BEACH — The cover photo of Fraser Yachts’ Winter 2012 magazine featured a teenage David Fraser at the helm of a boat, stoically looking ahead to what proved to be an influential career selling yachts. 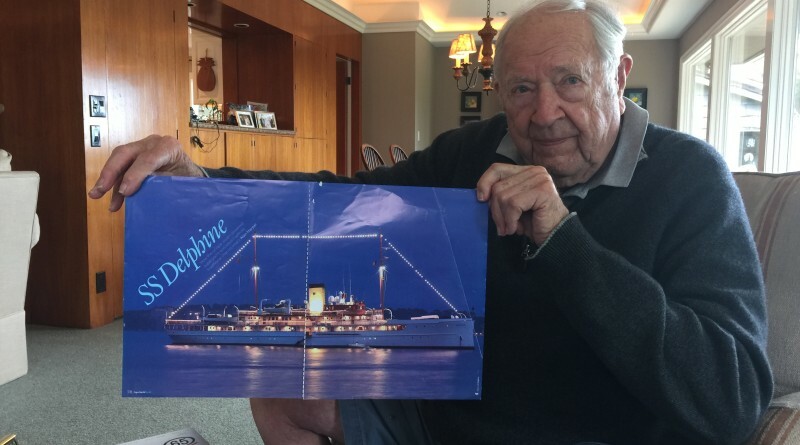 Fraser, 94, will tell anyone who lends him an ear his love for boating dates back to his days aboard the 185-foot schooner, Anna R. Heidritter, adorning the magazine cover. Inside the magazine are other photographs of a young Fraser interacting with the vessel that started a lifelong love affair. A slightly different story is told by his wife, who says Fraser’s love for boats actually goes as far back as his childhood, when he swayed back and forth on a tree-hanging swing but imagined himself rolling along the waves of the ocean while aboard a boat. Whichever way Fraser’s love for boating and yachting started the yacht broker’s passion for the waterways – and placing as many people onto the water as possible to share in the joys of sailing – sustained itself for an entire lifetime. After graduating from the Citadel in South Carolina, serving in the U.S. Navy and working aboard a trading vessel Fraser hopped into a car and drove west – all the way to California. Once there he applied for a job at a yacht brokerage. He started selling boats in Wilmington before moving to Newport Beach to do the same. Before the 1940s came to an end Fraser founded his own brokerage: Fraser Yachts. The company has since grown into a full-service firm offering brokerage, charter and new construction services. Fraser Yachts also expanded beyond Newport Beach, expanding into San Diego, Sausalito and Seattle in the 1960s and 1970s. Today there are offices in Seattle, San Diego, Ft. Lauderdale, Dominican Republic, England, Monaco, Spain, Turkey, India, Spain and Australia. 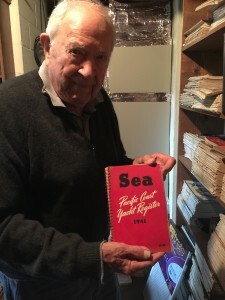 While his love for boats and yachting remained true all throughout his career Fraser said the industry has changed dramatically since the 1940s. “I was interested in yachting and boats [since I was young], therefore the whole business was interesting to me,” said Fraser. “When I first started yachts were selling for peanuts of what they are today. A boat today that would sell for $200,000, in those days was selling for $20,000; 100-foot schooners were selling for $10,000. Still Fraser always maintained a personal touch when interacting with clients and selling yachts. “I had a book with all these yachts by length and they would look through the book and they would say ‘I would like to see this boat’ and I’d go show it to them,” Fraser explained, adding a combination of personality and vessel knowledge helped him close deals. Fraser is certainly in rarefied air as someone who pursued a career fulfilling his passions while also allowing him to comfortably pay bills and raise a family. The former yacht broker now spends his days in retirement. He still lives in his Newport Beach home, which was built in 1950 and still has the original bedrooms. A pool is found in the backyard, where Fraser swims twice each week. Just inside the home, right by the front door, sits a leather chest once used by his grandfather during the Civil War. Down in the basement are several artifacts, including hundreds of first edition books and the uniform Fraser wore while in the Navy. There is a scaled model of a yacht Fraser once sold sitting on a desk. At yet another desk, where Fraser monitors the stock market from his computer, is an old telephone and the occasional boating-themed book. Spread across the basement-level room are other boating artifacts and paintings he’s collected over the years, such as a lithograph of the entire British fleet in the early 1900s and an old Japanese fog horn. Walking through his basement and observing the many artifacts and mementos Fraser managed to find and proudly show off his degree from Citadel, which was signed by former South Carolina Governor Strom Thurmond (before his days in the U.S. Senate). The yacht broker said his love for being at sea aboard a vessel continued through his days at Citadel. 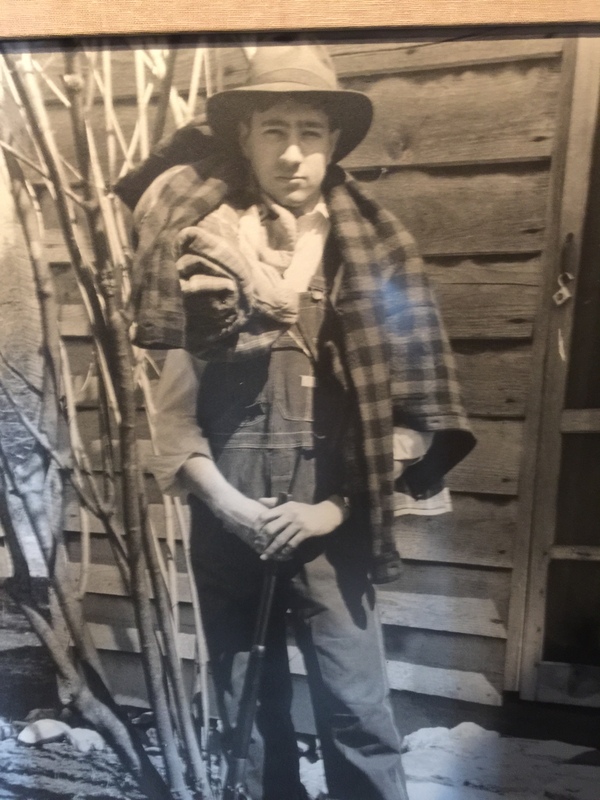 When he was 18 years old Fraser took a job aboard a vessel shipping coal and lumber up and down the Atlantic coast, continuing the seafaring job each summer as he completed his degree. Everyone had a wooden sea chest with rope handles, he added; each man’s belongings were stored in the chest. The chest weighted about 60 pounds when all of his belongings were stored inside, according to Fraser. When he wasn’t navigating the Atlantic coast, working on a schooner or serving in the Navy, Fraser found time to participate in a few races. “I made three races to Honolulu, I made two Miami-to-Jamaica [runs] and I made a Trans-Atlantic trek from Bermuda to Marstrand, Sweden,” said Fraser. It took 19 days for Fraser and his crew to complete the Trans-Atlantic race from Bermuda to Sweden; his team came in first place. Through it all Fraser has certainly left his mark in the boating and yachting industry – and it all started with a little imagination and a fateful interaction with a schooner. 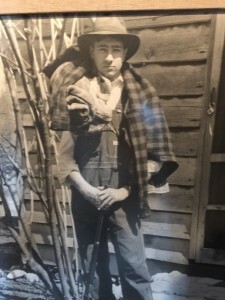 Would Mr. Fraser have any knowledge re: in the late 40’s I read a book about a private expedition originating in the 30’s from Newport Beach to South America. The 100 foot +/- yacht was specially constructed of moulded plywood & included a machine gun for defense. One of the crew was named Lugo, son of Mrs. Lugo who worked in the cafeteria of the Newport beach grammar school in the 40’s. I recall the title mentioned crocodiles & indians, & much of the story took place on the Orinoco River.